Janome DC1018 will be a good option for those who are looking for an affordable Janome computerized sewing machine in 2018. However, it is limited on stitch numbers. DC 1018 is the least expensive computerized machine you can get from Janome in U.S. Janome has been facing stiff competition from other brands like Brother and Singer in computerized sewing machines category. 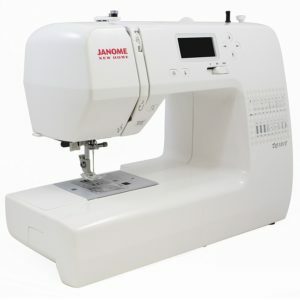 Brother and Singer have computerized sewing machines in the lower price range, so it forced Janome to come up with a budget computerized machine. Generally Janome machines with same features of a Singer or Brother will cost a bit more. I think Janome is trying to play different with DC1018. The pricing seems to be perfect for me. 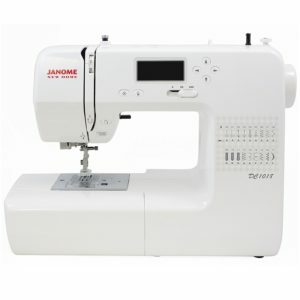 Janome DC1018 comes with 18 built-in stitches, which includes 3 one-step buttonholes as well. It features an automatic needle threader to save eye strain, especially for older people. There is a sewing start/stop button. 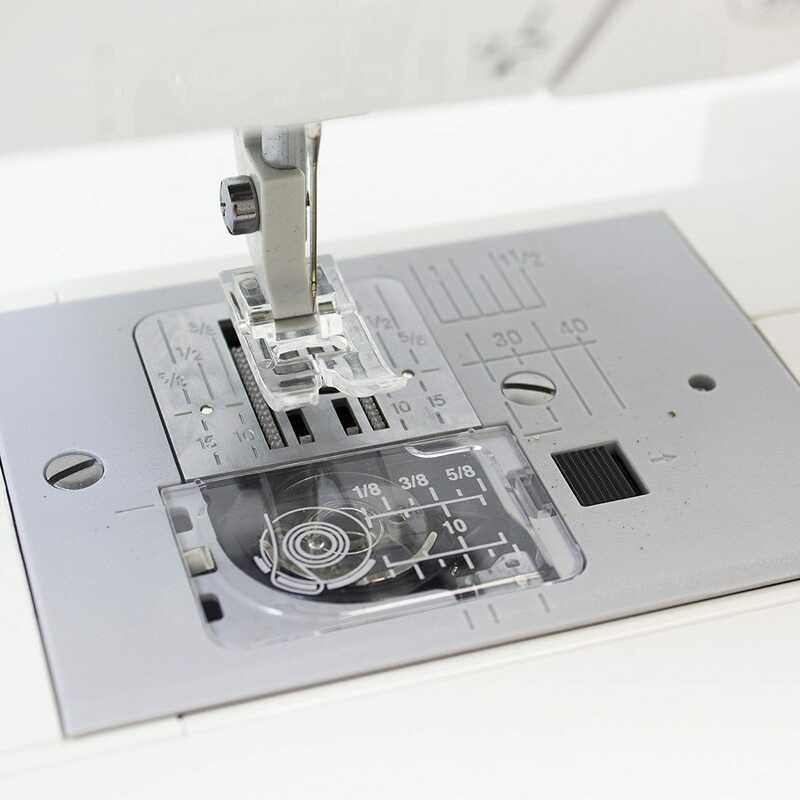 The speed control slider gives you full control over the sewing speed. Sewing at low speed setting works the best for beginners initially, you can crank it up once you are confident. It has a strong motor capable of dealing with all kinds of fabric. The programmable needle up/down button is a huge blessing for quilters like me. It literally acts like an extra hand. The locking stitch button is essential for securing the stitches, so that they don’t come loose. An easy reverse sewing button is provided right above the start/stop button. The auto-declutch bobbin winder prevents bobbin overfilling. The LCD screen is quite good. Quick selection buttons are provided for stitch selection. Stitch selection and adjustments are very easy to understand. Even people over 60 won’t have any trouble using it. The maximum stitch width is 7mm and stitch length is 5mm. The thread tension can be manually adjusted. The presser feet is slide-on type, so you don’t need to run for a screw driver every time you want to change the feet (this is not a huge thing as even cheaper machines now come with slide-on presser feet). The machine is free arm convertible. DC1018 can be set for free-motion quilting by dropping the feed dogs ( a lever is provided for that). The extra-high presser foot lifter on this machine, gives excellent clearance to work with multiple layers of fabric. The top drop-in bobbin adds to the ease of use. Janome DC1018 comes with an included softcover. The box also includes a bonus kit, which according to Janome is worth something. Weighing under 14 pounds, you can consider it as a lightweight sewing machine. Janome hasn’t done any compromise on quality, even though the machine comes with a budget price tag (one thing I have always noticed with Janome is the excellent build quality of their machines). You will get a sense of quality once you see this machine. The machine has a reasonable variety of stitches on-board. Even impressive is its stitch quality. I have sewn 6 layers of denim on this machine and it went through effortlessly. I always test machines with multiple layers of denim, you can tell something about the quality of the machine from that. The machine does an equally good job on lightweight fabrics as well. I always wanted Janome machines to feature lot more built-in stitches. DC1018 is no exception. Considering the price and quality, I guess Janome DC1018 won’t be a bad deal at all. It has all the features you want as a beginner. Also the quality is excellent. It will be a great choice for those who are looking for a budget Janome computerized sewing machine.